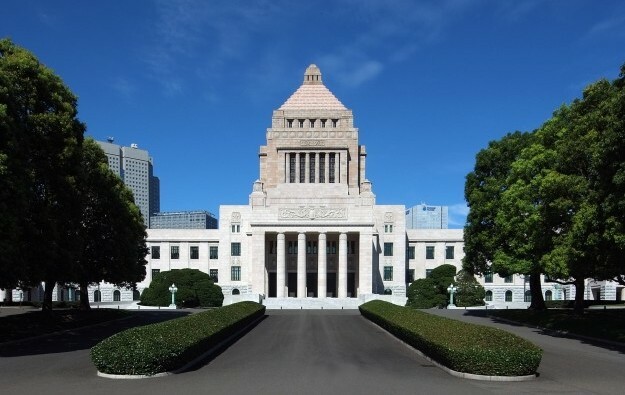 Japan’s second piece of enabling legislation for establishing a domestic casino industry, the Integrated Resorts (IR) Implementation Bill, passed on Thursday its penultimate hurdle according to information obtained by GGRAsia. The passing of the bill by the Committee on Cabinet in the House of Councillors, the upper chamber for Japan’s parliament (pictured), came despite reports of plans for a no-confidence motion in the chamber – organised by minority parties – that was apparently designed to slow the process. According to political observers, any such opposition motion had no prospect of success, given the large majority of the governing bloc, formed from the Liberal Democratic Party and its junior partner Komeito. On Friday (July 20) the IR Implementation Bill is likely to be voted on and enacted in a plenary session of the House of Councillors, according to GGRAsia’s Japan correspondent. Passage of the bill will fulfil the government’s pledge to complete the legislative process prior to the formal conclusion of the current – extended – ordinary session of parliament on July 22. Key points in the draft bill are reported to include: an initial cap of three casino resorts nationwide; a 30 percent tax on casino gross gaming revenue (GGR); and an entry levy of JPY6,000 (US$53) for Japanese citizens and residents wishing to enter such venues. But the anticipated passage of the bill still leaves plenty of work to be done before a Japanese casino industry can be created. Not the least of it is the pitches to be made to central government by local authorities – in tandem with their respective private-sector partners – for the right to one of the first licences. A separate piece of legislation related to the nascent casino industry – the Basic Bill on Gambling Addiction Countermeasures – was passed by parliament on July 6.